Shallow Cogitations: Ding, Ding. Smile! 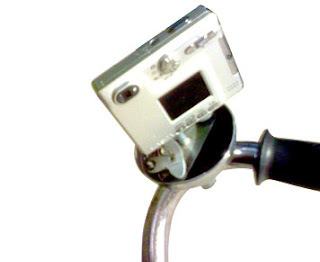 Turn your bicycle bell into a camera mount. I don't recommend it for a video camera. The shaking and vibration will make it shut down.